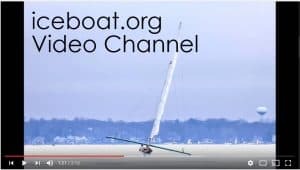 In honor of the 2016 Vintage Iceboat Show and 4LIYC Annual Picnic, here’s a salute to MISS MADISON, one of the vintage stern stee rers that will be set up along with MARY B, MENACE, and other iceboats. 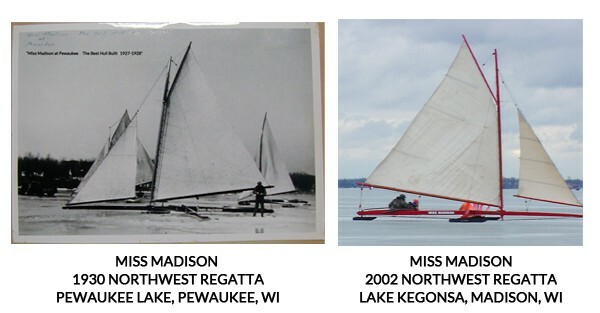 MISS MADISON, built around 1927, was the last “Madison style” that Bill Bernard ever built. 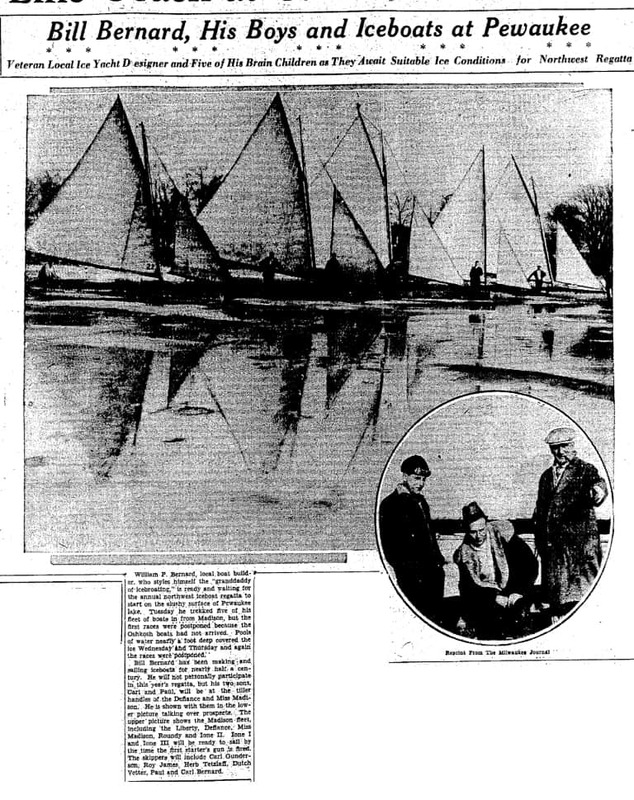 The Hudson River style of ice yacht, such as the MARY B, ultimately proved to be a faster design. MENACE is also a Madison-style stern steerer.